Every year, September is known as “Shiptember” in AFOL circles and fun competitions are held to build incredible (or simple) spaceships. 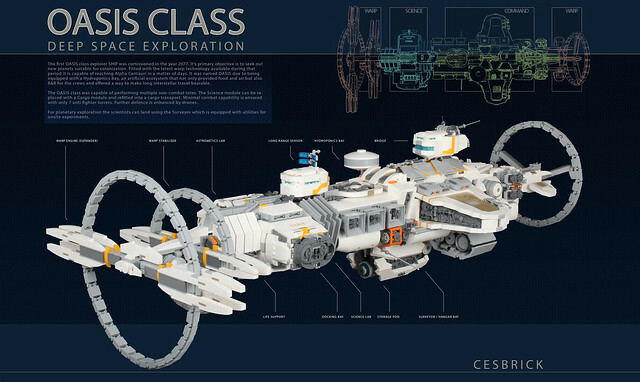 Last year César Soares submitted his Oasis Class Deep Space Exploration ship and it is an incredible design. His ship design is not only highly detailed in terms of LEGO building techniques, but his presentation was impeccable. Have a look at the opening slide below and be sure to click to see all the details. The design story, the thoughtful placement of ship features etc. No detail was left out.